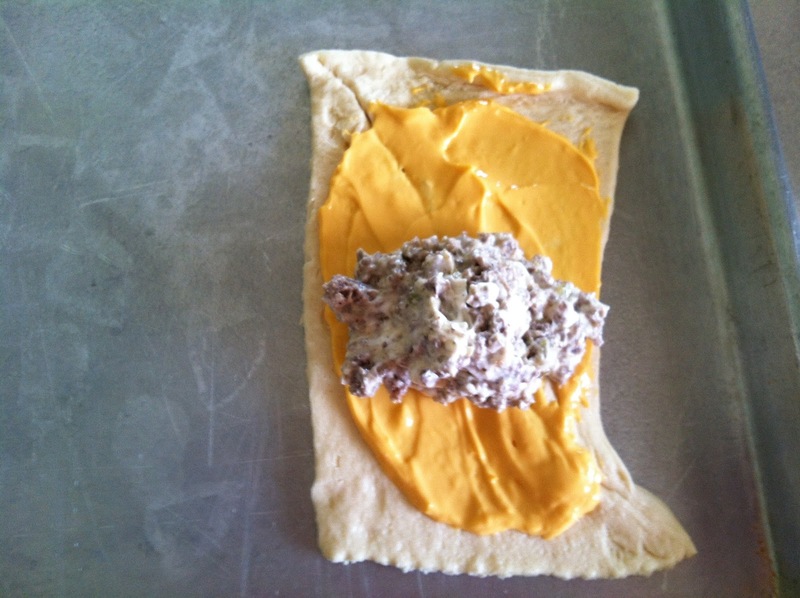 I found a recipe a few months back and after I made it my husband said “those are like a cheesesteak sandwich.” Now I LOVE cheese steak sandwich’s so I altered the recipe and came up with this. 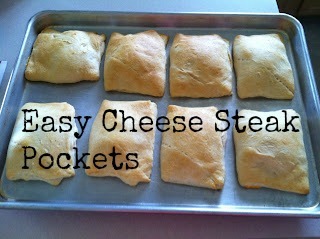 I call them Easy Cheesy Pockets! 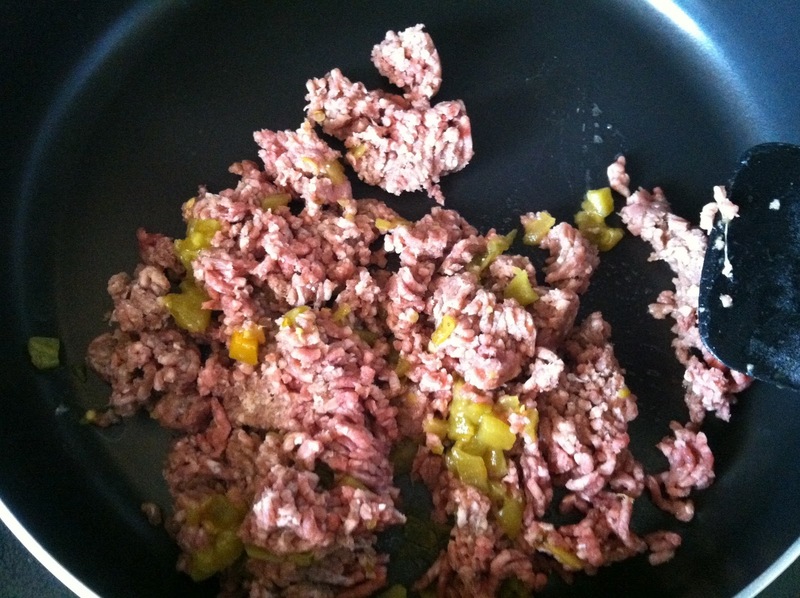 So first I cooked up some hamburger meat and added chopped green chilies. You could cut up a green or red pepper too. Once my meat was cooked and drained I added cream cheese, ground cumin and chili powder. Now for the fun part! 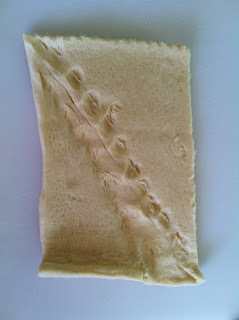 I took some refrigerated crescent rolls and pressed two of them together to make a rectangle. 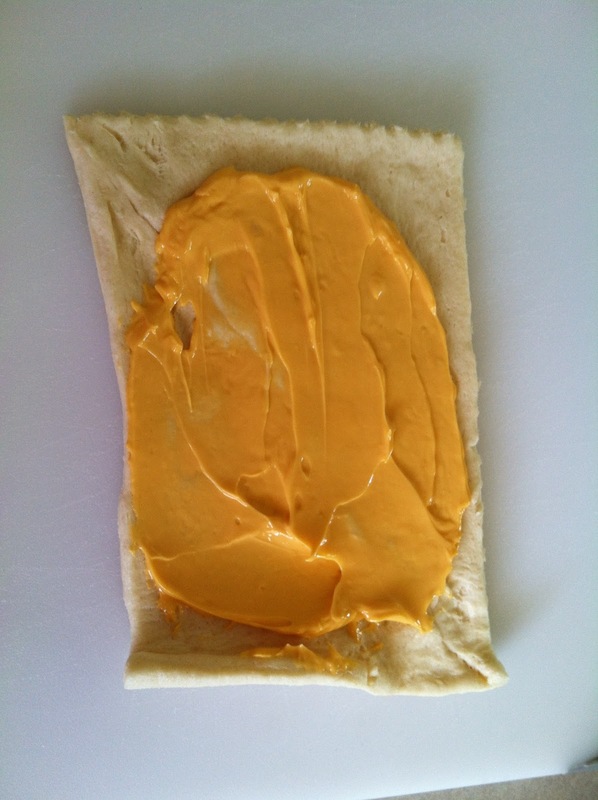 I like mine really cheesy so I added some cheese wiz to mine (you can add real cheese, too!). I left my husbands plain because that’s how he prefers them! Then you add a spoonful of the cooked meat mixture. Fold in half and seal the edges by just pinching it together. Bake them at 375 degrees for 11-14 minutes. In a skillet, cook beef, chilies and mushrooms over medium heat until meat is no longer pink. Drain. 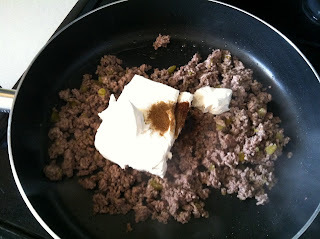 Add the cream cheese, cumin and chili powder. Cool slightly. Separate crescent dough and connect two crescent’s together to make a rectangle. Seal the seem by pinching it together. 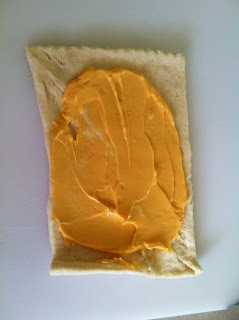 Add cheese wiz if desired. Place a spoonful of beef mixture in the middle and fold the dough in half. Pinch the 3 sides together to seal. 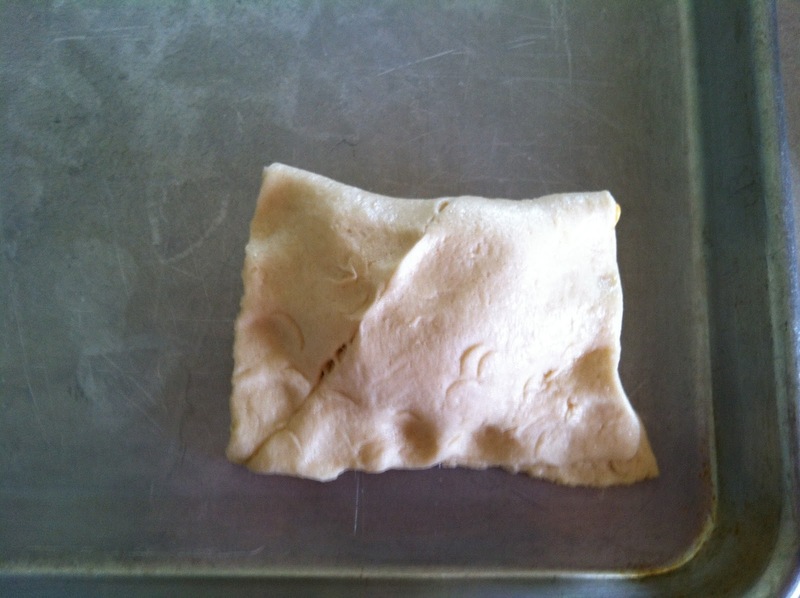 Place on an ungreased cookie sheet and bake at 375 for 11-14 minutes or until golden brown. Yummy, have to make these. I love the recipe, it really is simple. Thanks, wish you a great week! I'm always looking for yummy new recipes. I know my hubby would love these, so I'm going to try them soon. Thanks for sharing. This is perfect! I will be travelling soon and am on the look out for recipes I can cook and save so Hubz can easily take lunch to work or grab for dinner. 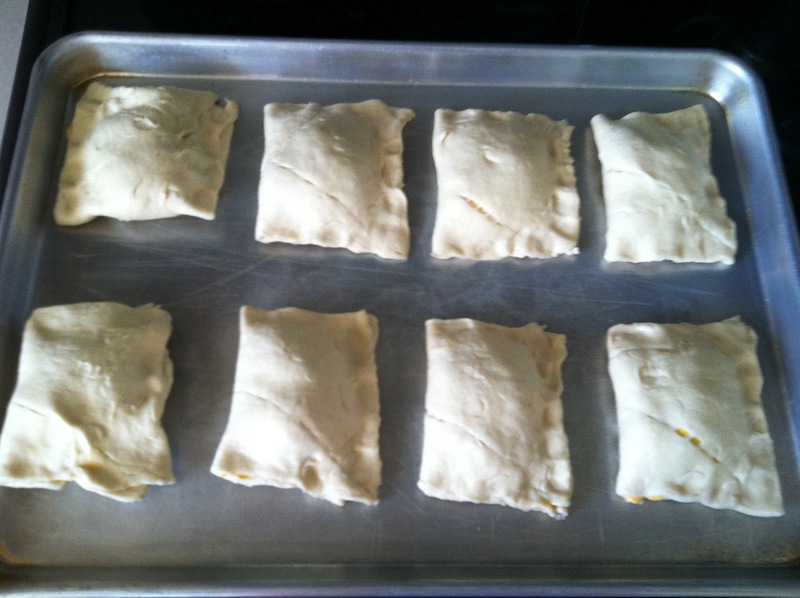 These look simple enough for me to make and easy enough for Hubz to reheat. Thanks! I think my husband would love these. Thanks for sharing! 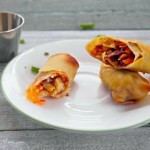 Ooh I'm going to try these this week I have all the ingredients I'm sure hubby will love these. Thanks! 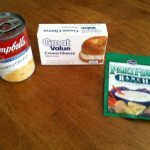 Oh boy, another great recipe calling for simple ingredients! It looks great too! Yum, I'll have to try this!! These look nice, last year I went to England and they make steak bakes, which are steak and gravy in a flaky crust pocket, were so good! I've been wanting to make my own! Love it! I love things like philly cheesesteak so I guess I could do that too. 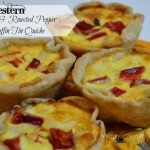 These look so good and would be great to make ahead for if you have guest coming. Those sound really good! 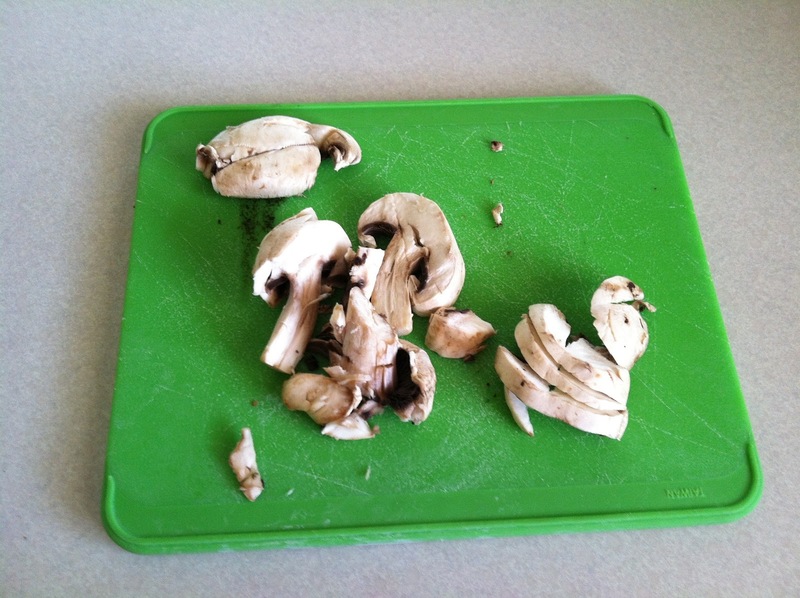 We love mushrooms and I'm always looking for more beef recipes. I'll have to give these a try! WOW! These sound so good! I will have to try them out! Thank you for sharing the recipe. 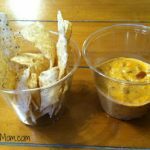 This would be a fun party recipe too! Totally! It would be so simple to make a party sized batch.